Evolution Gaming have now launched Salon Privé Baccarat. It rounds out the the range of Salon Privé Super VIP tables, joining Salon Privé Roulette & Salon Privé Blackjack which the high rollers have been enjoying since March this year. Like the blackjack and roulette equivalents, very few players will ever actually get to play or even see the Salon Privé Baccarat table. Irrespective of which casino you play it at, you’ll need an account balance of at least €£ 6,000 to be able to open the table. It’s a very high watermark. 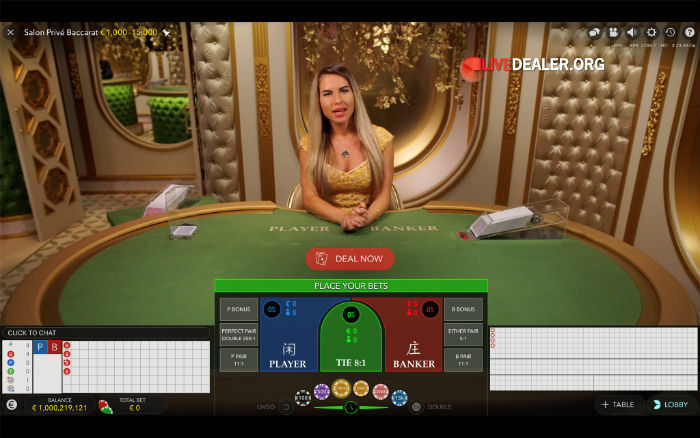 But then the Salon Privé tables were only ever created for serious high rollers, offering the type of gaming experience these players may be used to in VIP gaming suites. Very high limits of course, but also compete table exclusivity for the duration of the game session. Once you open it, no other players may join the table, or even view your play. 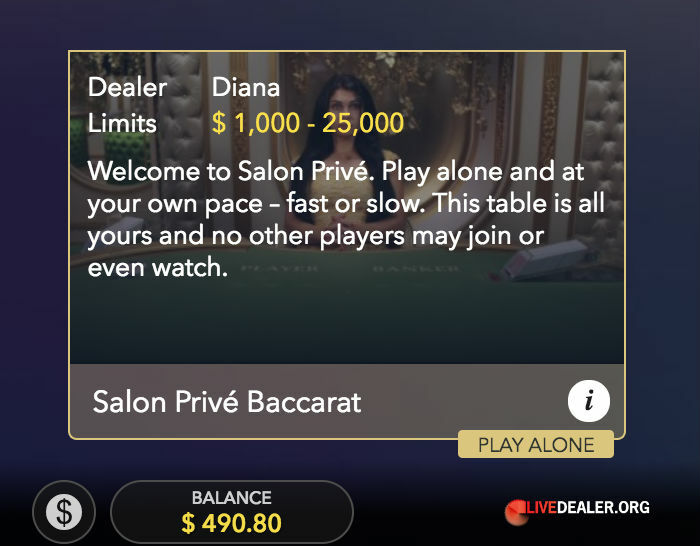 Those with the funds and nerves to play Salon Privé Baccarat, will find a table in plush surrounds, wrapped in Evolution Gaming’s familiar live baccarat playing interface. Standard Punto Banco baccarat rules, bets and payouts apply, the same as all their other Evolution live baccarat tables, (aside from No Commission Baccarat). Bet Banker (paying 0.95 to 1), Player (1:1), Tie (8:1) and/or take optional Pairs and Bonus side-bets. Perhaps at €1,000 table minimum, avoid the low returning side bets and stick to Banker and Player bets. For a refresher on theoretical returns, remember Banker bets return 98.95% while the ‘either pair’ side bet returns a miserly 86.29%. That’s a big difference when the stakes are high! 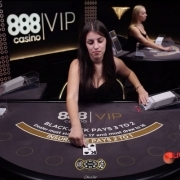 Which live casinos offer Salon Privé Baccarat? Right now you can play this table at William Hill, Unibet or Leo Vegas. The list of live casinos that carry it will no doubt expand in coming weeks.